A year ago, “06880”‘s Veterans Day story highlighted Dylan Mace. 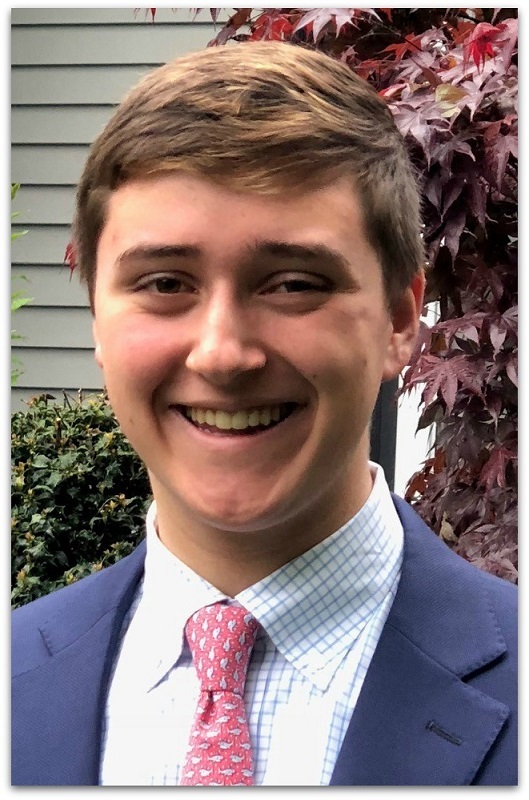 The Staples High School junior was raising funds for Westport’s VFW Post 399. The Riverside Avenue building lacked a handicap-accessible bathroom. Dylan was appalled — “brave men and women who serve could lose limbs!” he said — and vowed to help. Dylan — whose grandfather was a Korean War vet — went to work. Singlehandedly, he raised almost $8,000. And then he got more help from the community. Early in his fundraising, architect Lou Lefort and electrician Barry O’Reilly offered their services. General contractor Scott Rochlin contacted Dylan too. Scott’s son Charley was a decorated Marine. After Charley died in an automobile accident, Scott’s family set up a foundation to help veterans and their families. Scott volunteered to oversee the project — and said his organization would cover any extra costs. Scott also brought in Dino Meloni, from Nicolia Marble and Tile. He installed the bathroom tile, gratis. Bender donated a handicap sink and toilet. Lowe’s and The Tile Shop in Norwalk gave Dylan contractor discounts on supplies. Westport Glass chipped in too. 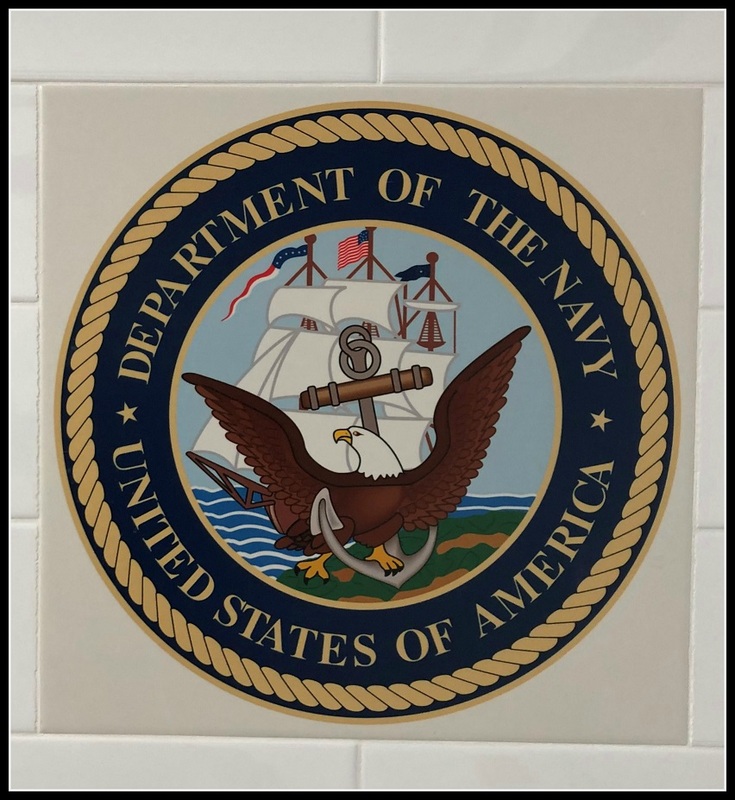 One of the specially created VFW tiles. But Dylan wanted this to be extra-special for veterans. He found Custom-Tiles.com online, and asked if they could make special tiles with the emblems of the 5 US military branches. The owner worked with Dylan, creating amazing ones for the walls. 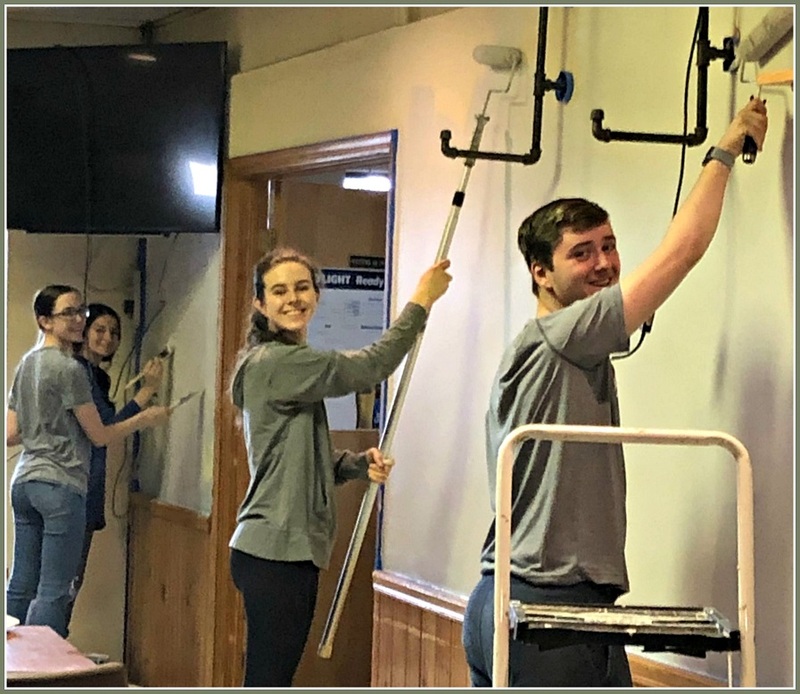 Dylan was so moved by the project, and the people he met through it, that when it came time to plan his service project for the National Honor Society, he asked to paint the inside of the VFW — and spruce up the outside. Congratulations, Dylan, for all you do. I’m sorry I couldn’t post this a few days ago, on Veterans Day. But thanks to you — and all who helped — every great day at the VFW will now be even better. Today is Veterans Day. There’s no better time to hear Dylan Mace’s story. 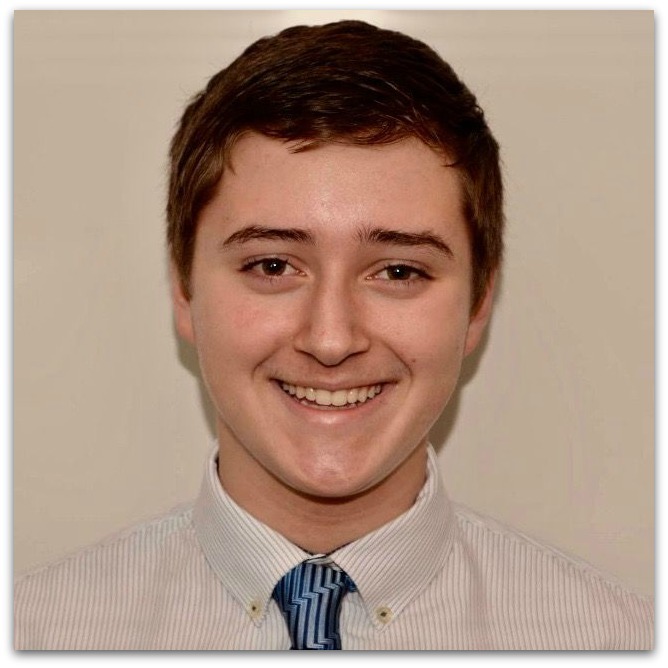 The Staples High School junior is a varsity hockey player. He’s also an active member of Operation Care Package, a school club that assembles and sends books, magazines, food and more to American troops serving in places like Afghanistan. Dylan got involved as a freshman. His grandfather served in Special Forces during the Korean War. Before he died, he passed along his pride in the military to Dylan. 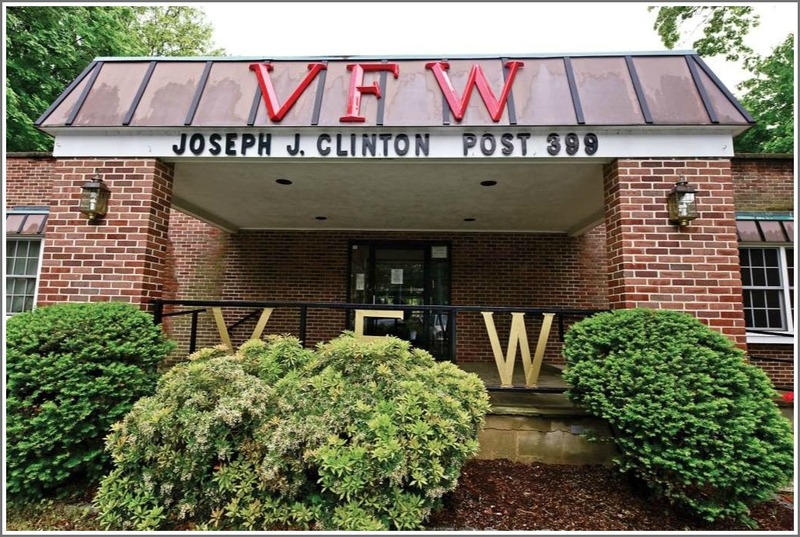 This year, as he tried to find another way to help out, Dylan learned about Westport’s VFW Post 399. Speaking with commander Bernie Rombout, he learned the Riverside Avenue building lacked a handicap-accessible bathroom. Dylan learned the cost of design and renovation for such a bathroom: $10,000. Immediately, he created a GoFundMe page to help. Dylan will also be at the downtown Starbucks this weekend, soliciting donations. In many ways, today is a normal Saturday in Westport. But it’s also an important national holiday. Dylan Mace has provided a meaningful way for us to honor it. Just click here to help.